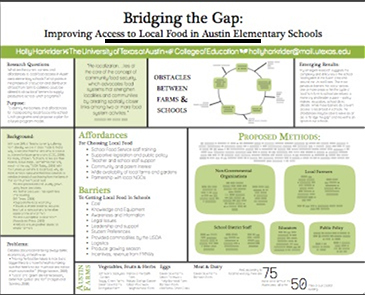 Looking at samples of real student posters can help you generate ideas and define your goals. 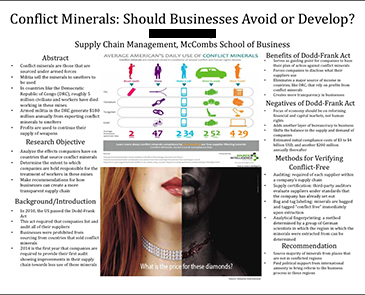 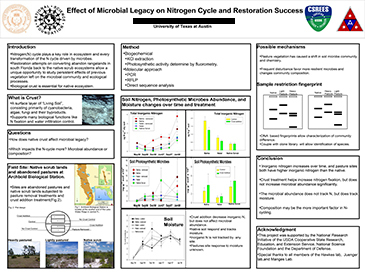 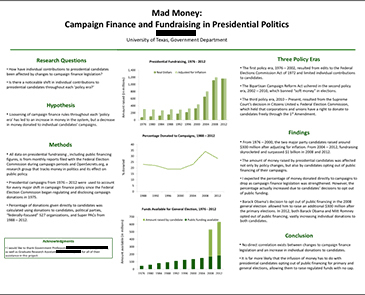 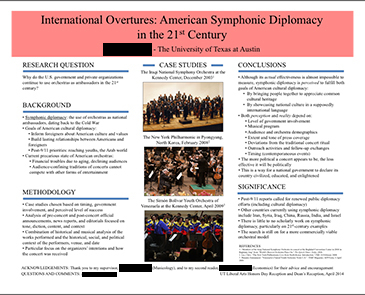 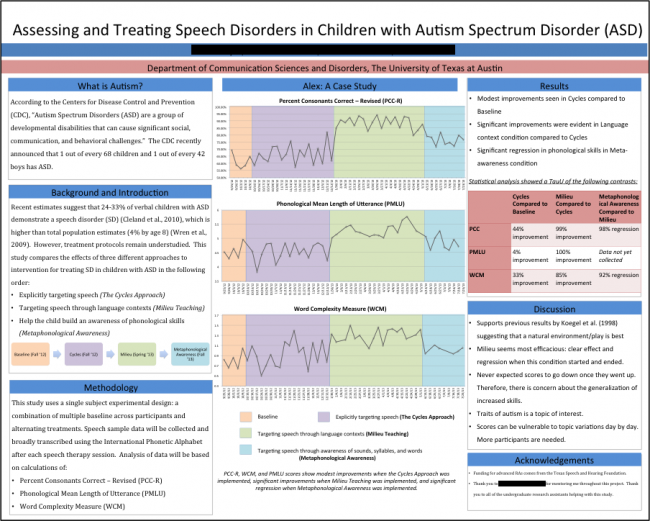 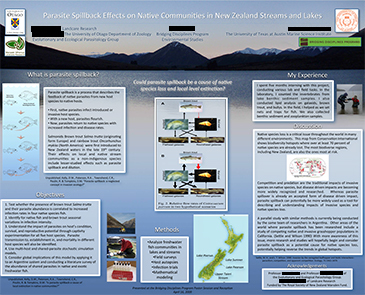 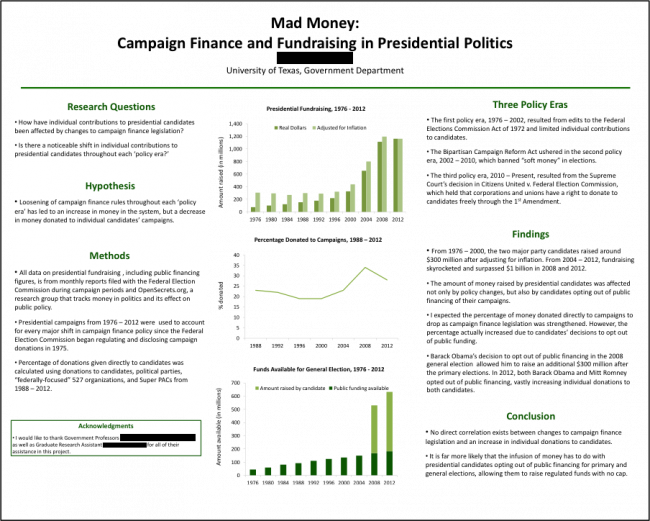 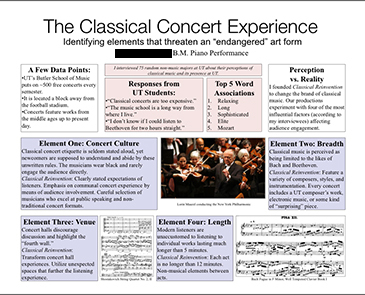 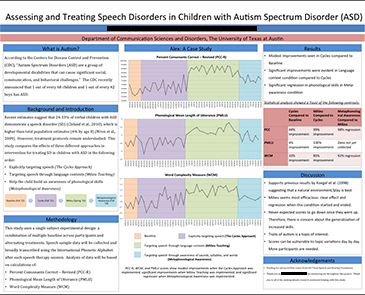 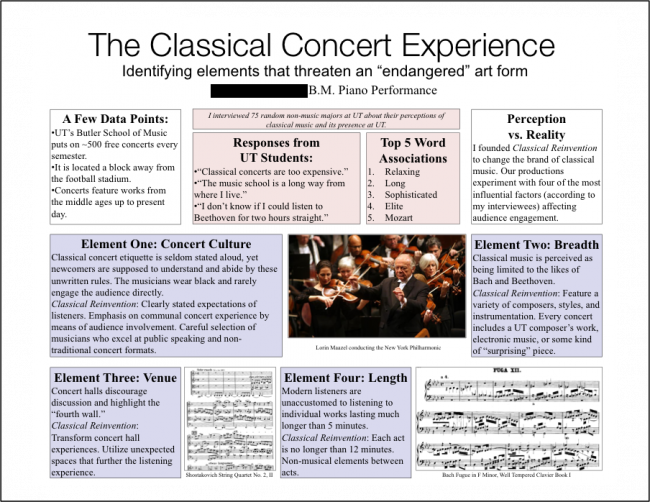 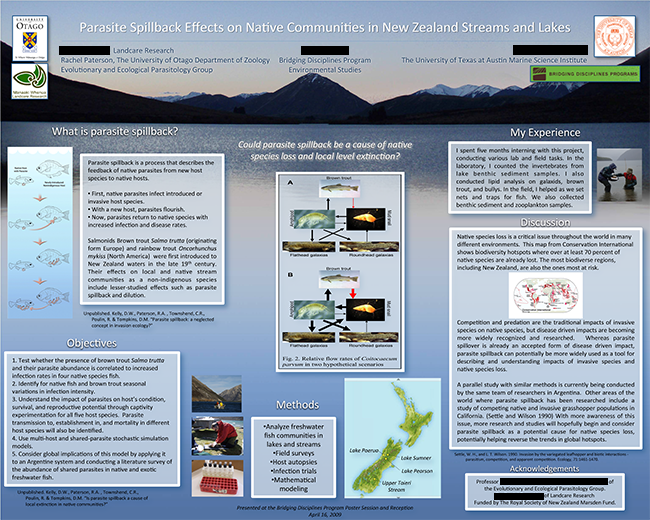 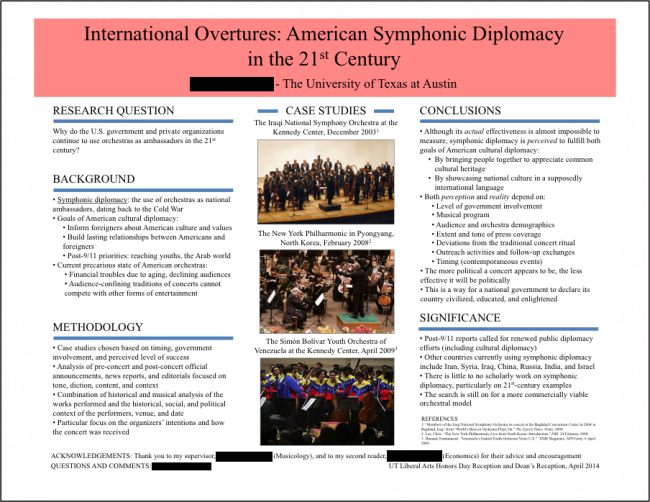 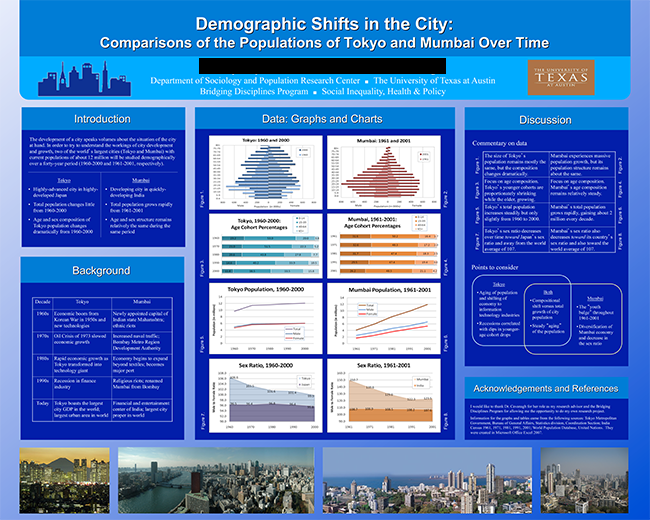 As you get started, it may be helpful to look at examples of finished posters. 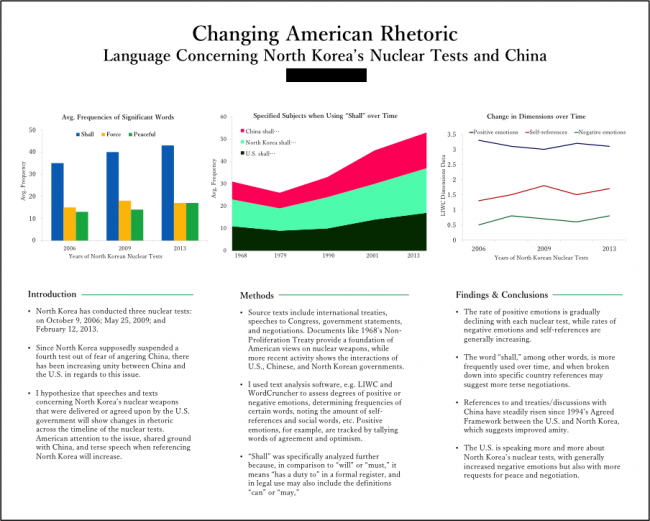 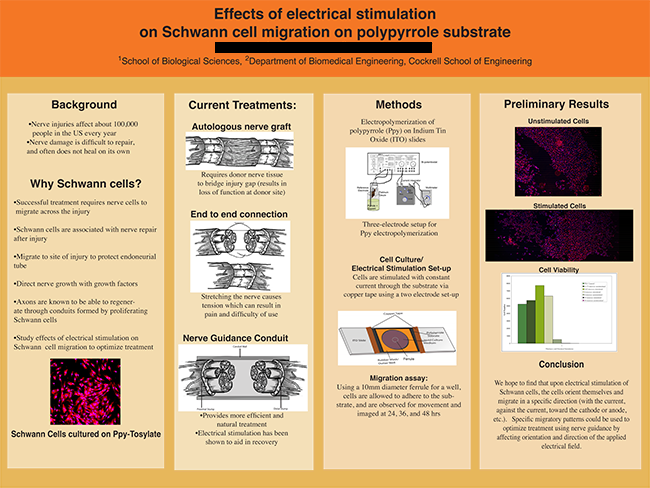 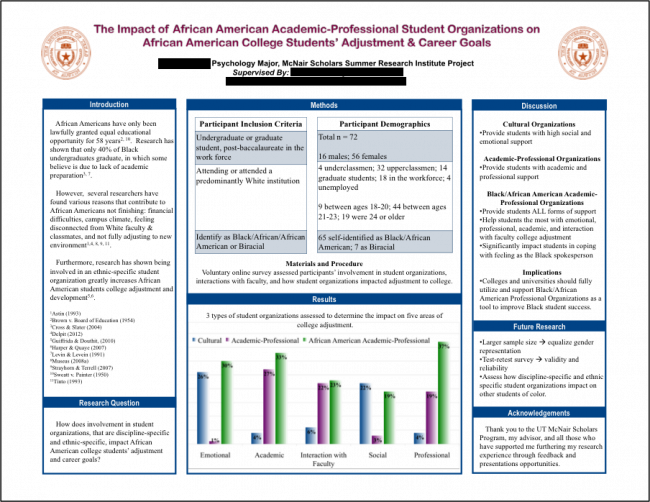 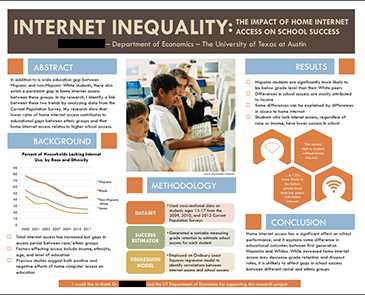 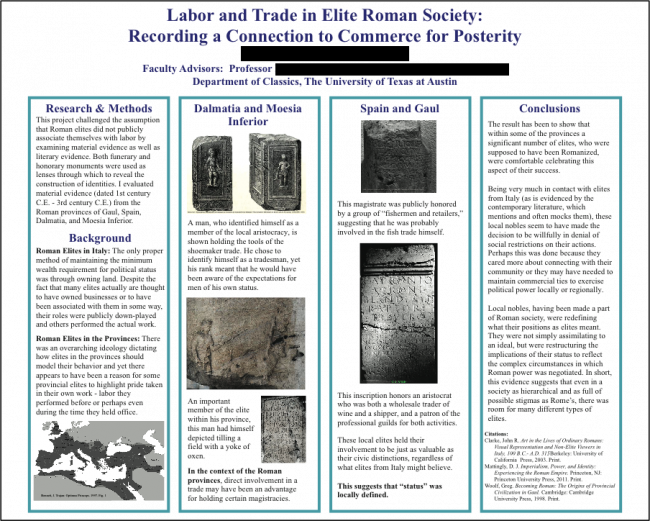 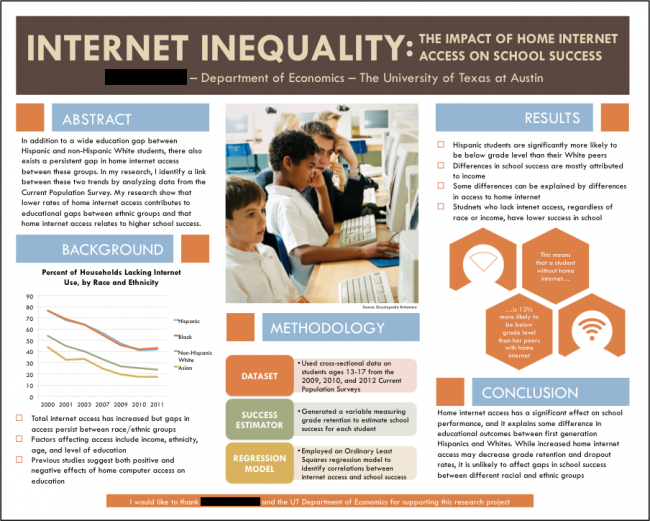 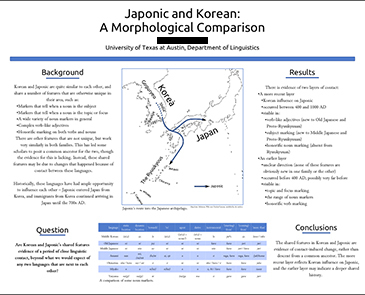 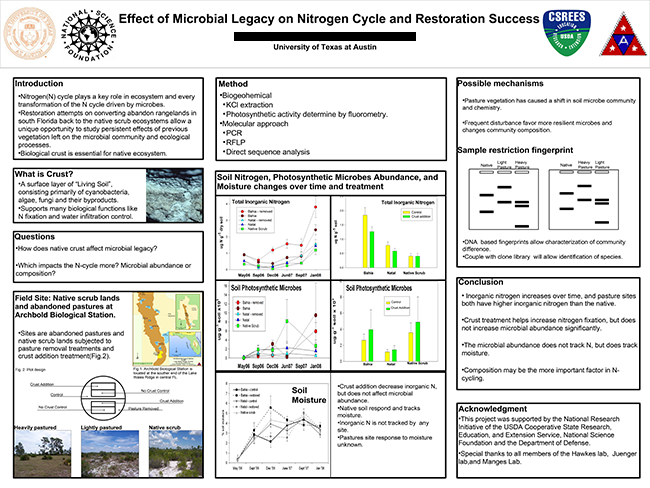 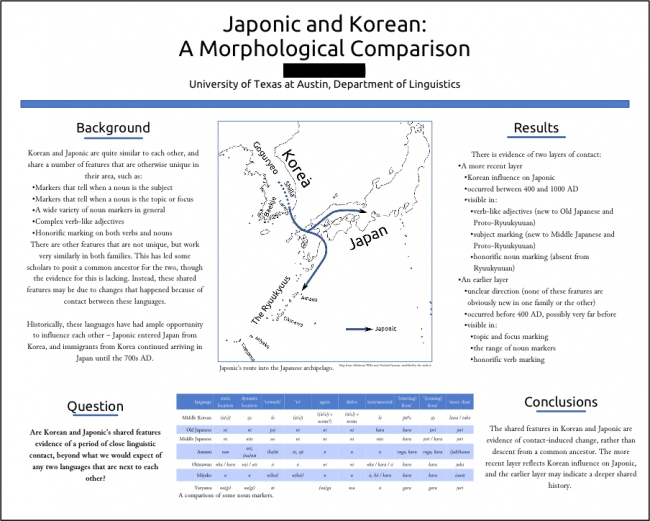 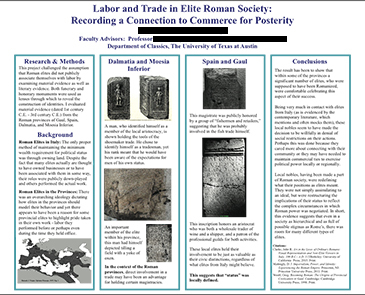 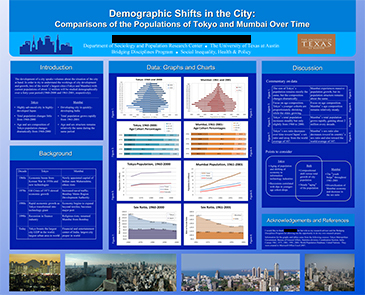 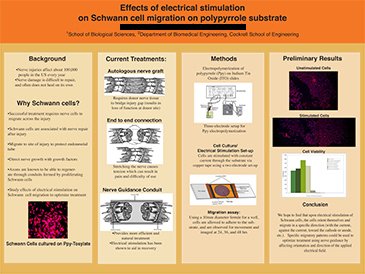 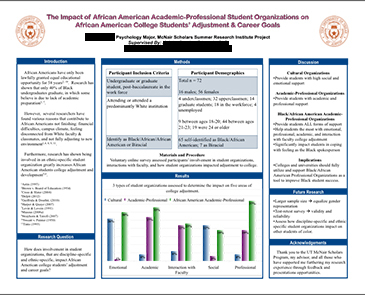 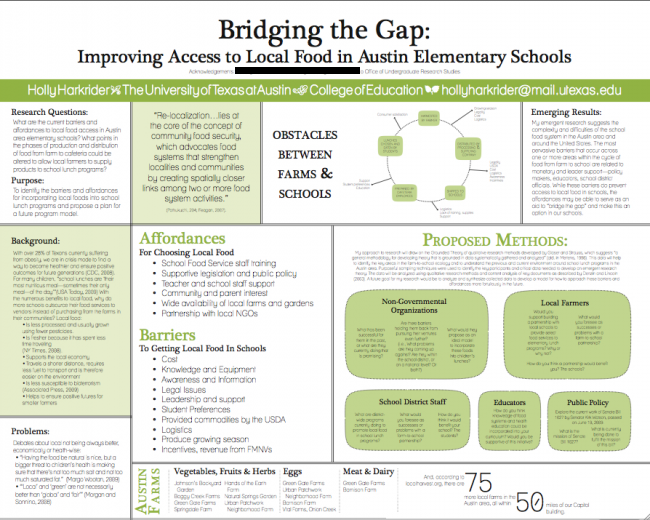 Below are a number of sample posters created by UT undergraduates. 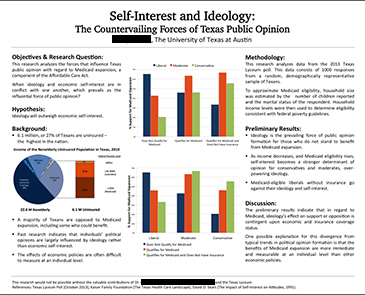 There is a brief discussion of each poster highlighting its greatest strengths and areas where there is room for improvement. 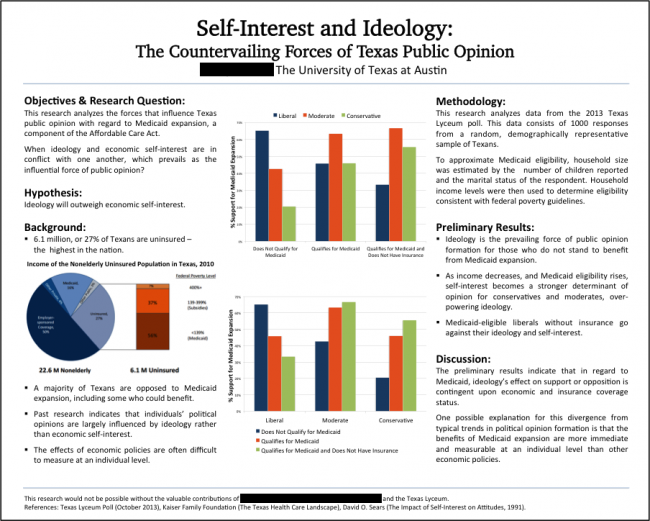 Begin working on the content for your poster at Create Your Message.